Google’s I/O Conference, the annual developer conference, kicks off this June 27th with the possibility of releasing its very own tablet, possibly named the Nexus 7. Around last December, Eric Schmidt, Executive Chairman of Google, in an interview with an Italian Daily discussed about the possibilities of Google’s tablet. The most attractive feature of the table till now is the price. Google promised to offer a great high end tablet at an affordable price. 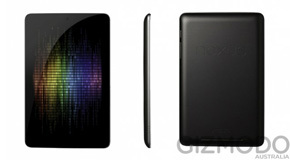 UPDATE : Google Nexus 7 has been officially unveiled with the same specs previously discussed ! According to a recent report by Gizmodo Australia, they have somehow read a training document where the details of the upcoming tablet has been mentioned. However there has been no image or any access to that training file. For now till the possible release, what ever information you will be receiving is just a rumour. The specs that the tablet offers according to the training document, is way enough for anyone wanting to own a tablet at a very low price compared to all the other pricey tablets ! The display screen is said to be about 7 inches with a screen resolution of 1280×800, 1.3 GHz quad core Tegra 3 processor, Geforce 12 core Graphics Processing Unit and a RAM of 1 GB. More over, it will be having a front face camera of 1.2 megapixels and will have 9 hours of time for operating the tablet. The tablet is to come out in both 8GB and 16GB. 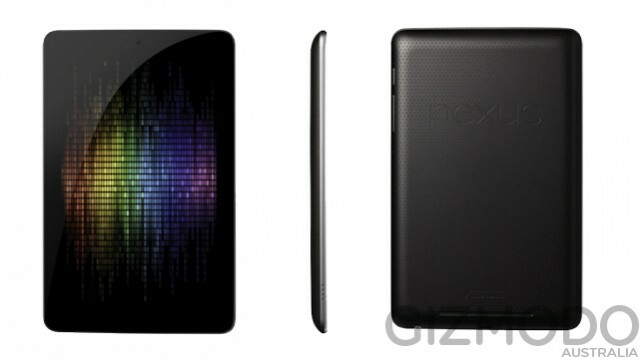 There are also rumours about Apple’s 7inch iPad already in production to fight head to head with Nexus 7. Moreover Kindle Fire will be having a tough time to cope up with the competition that will take place between the two big daddies. Let’s say the Nexus 7 is released and you have two choices : a) iPad or the b) Nexus 7. Which one would you buy ? I guess I already got your answer. Share your thoughts below. What do you think about the tablet ? After having gotten rid of my iPad, I won’t touch another Apple product again. Too limiting. Surface Pro is by far the most appealing because I’d be able to do regular development on it, but the price and obviously vague release schedule is just no use to me right now. If I could use an Android the same way I would a desktop, it would be a no-brainer. We have another Alex here ! 😛 Seems like the iPad gave you a tough time eh ? Let’s hope that Nexus turns out to be something good and better than the rest ! It will be great to see a cheap Android tablet to compete with Kindle Fire on price. Curious to see how Google will address the Microsoft Surface tablet. Having a keyboard to make it easier for creating content will be interesting. However, I am not sure if I’ll be lining up to buy a Nexus 7. I’d prefer a Kindle Fire for the same price with all the Amazon integration & content options. With all the new tablets coming out, it might be worthwhile to wait to see how the market moves to avoid betting on the next Playbook! We got to wait Alex ! Just a few more hours to see what actually Google will provide in its tablet.